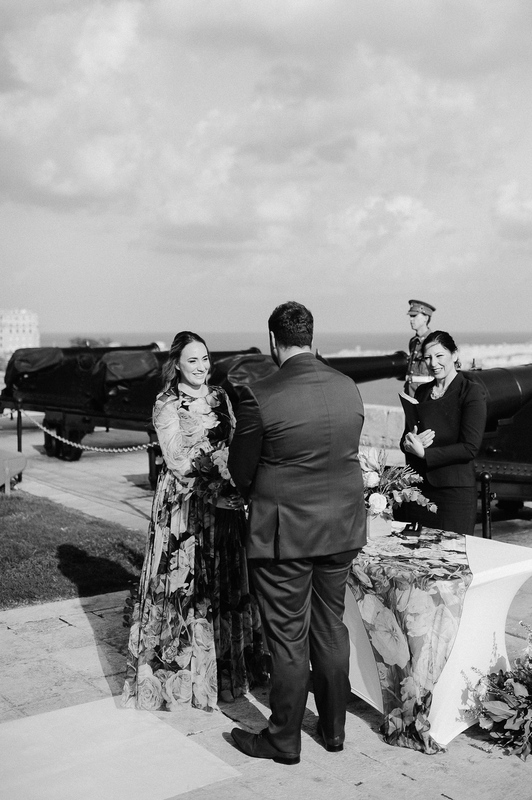 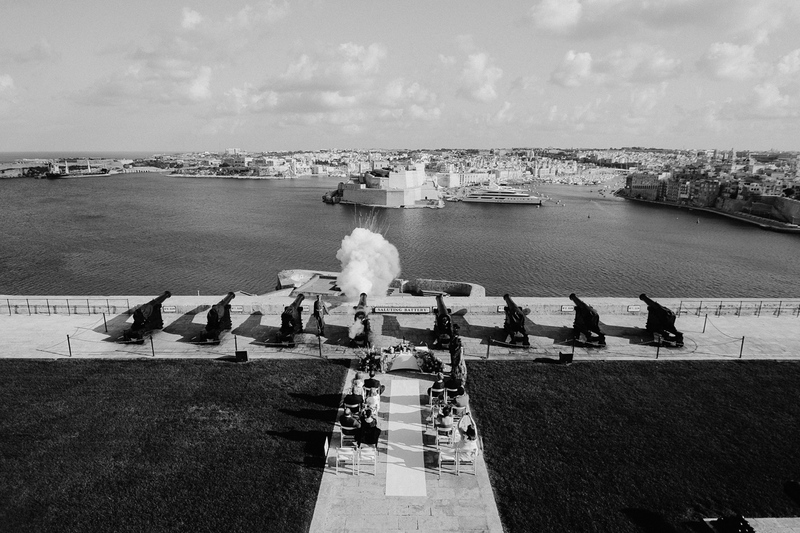 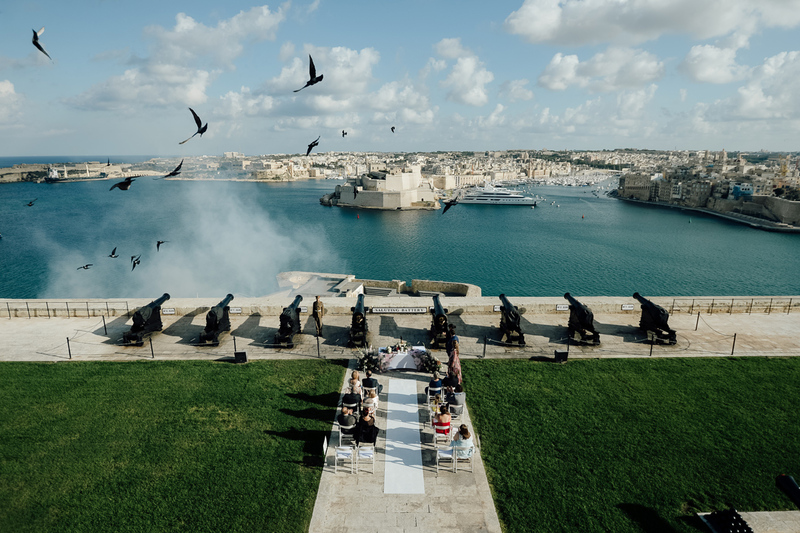 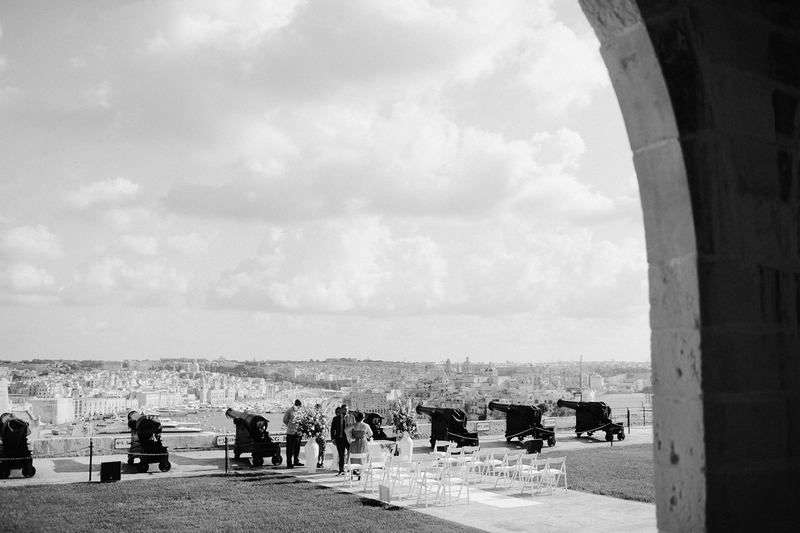 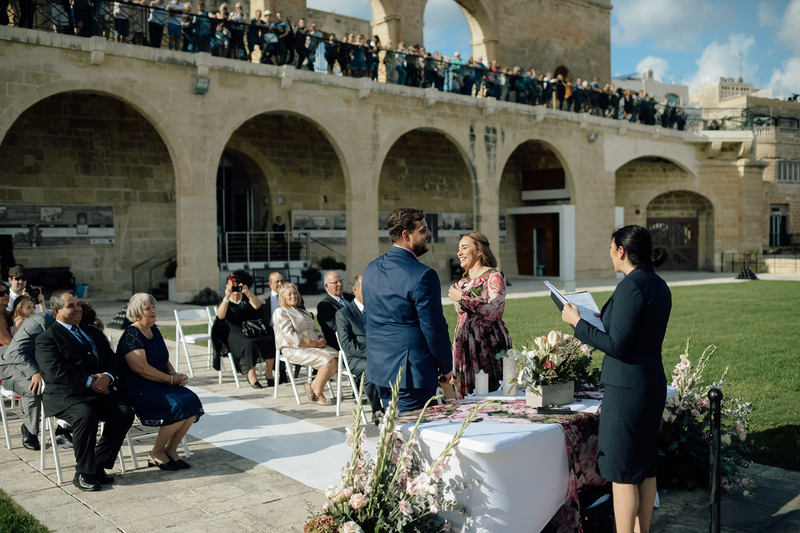 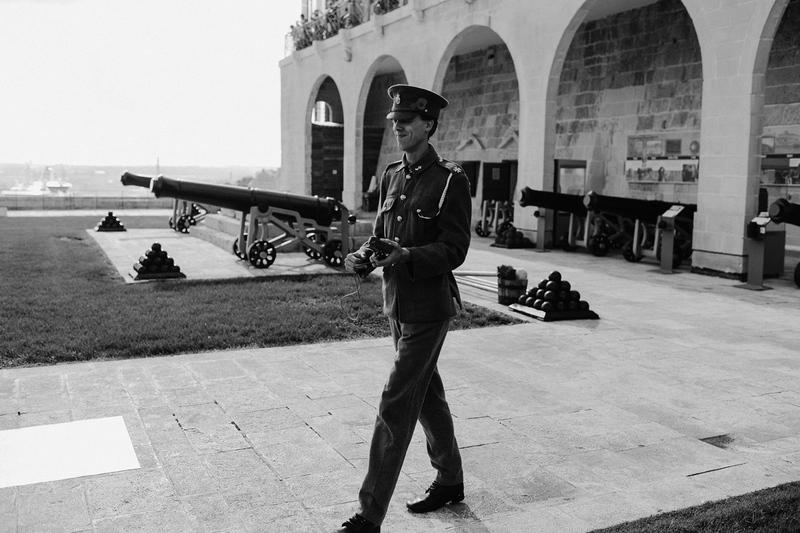 Saluting Battery is probably the best wedding venue with a view in Malta. 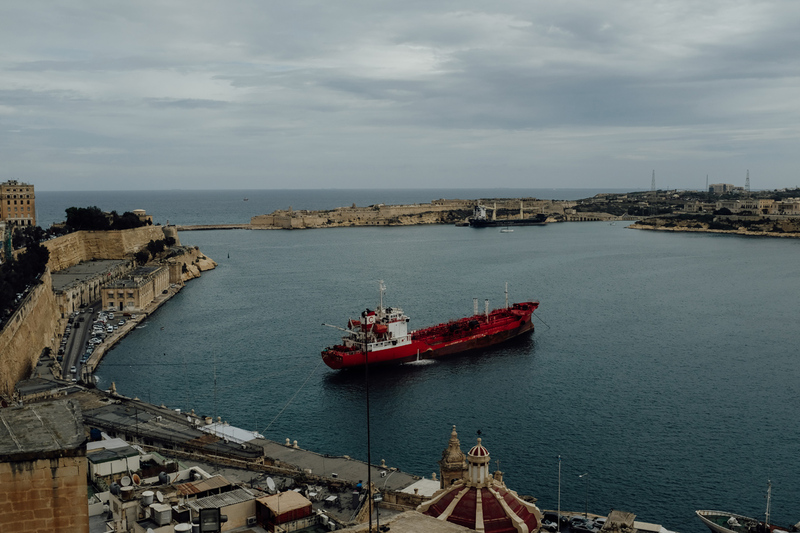 I still remember the time years ago when I first went to Malta to visit my then girlfriend. 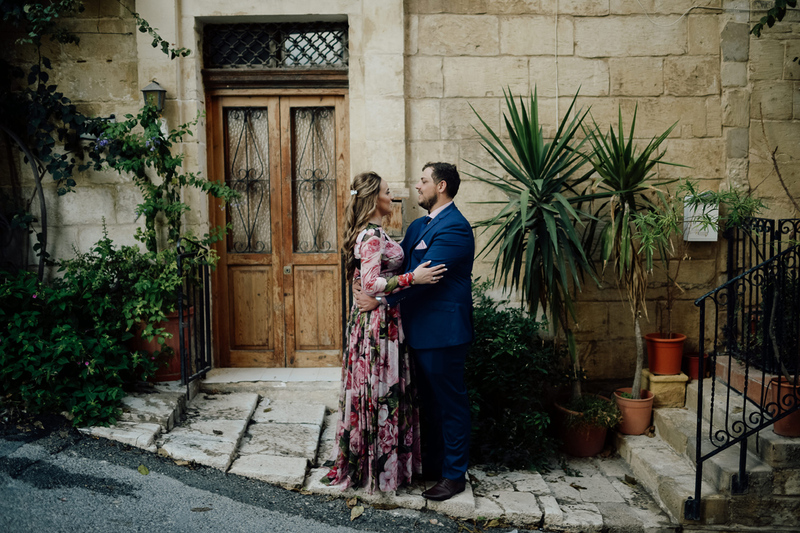 I travelled all the way from Budapest by train and then from Sicily with the ferry. 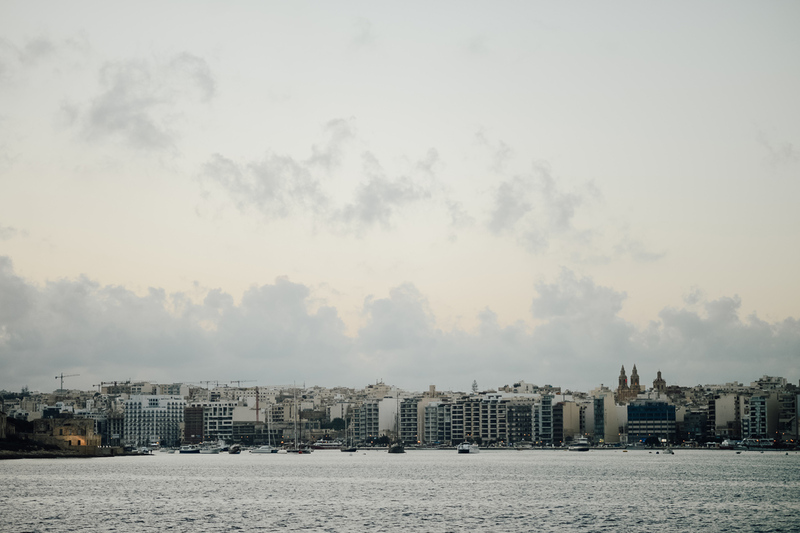 I was approaching Valletta and the Grand Harbour, it was evening time and it is still clearly in front of me how unbelievably beautiful the whole harbour was with three cities on the left and one, Valletta on the right all magically lit up. 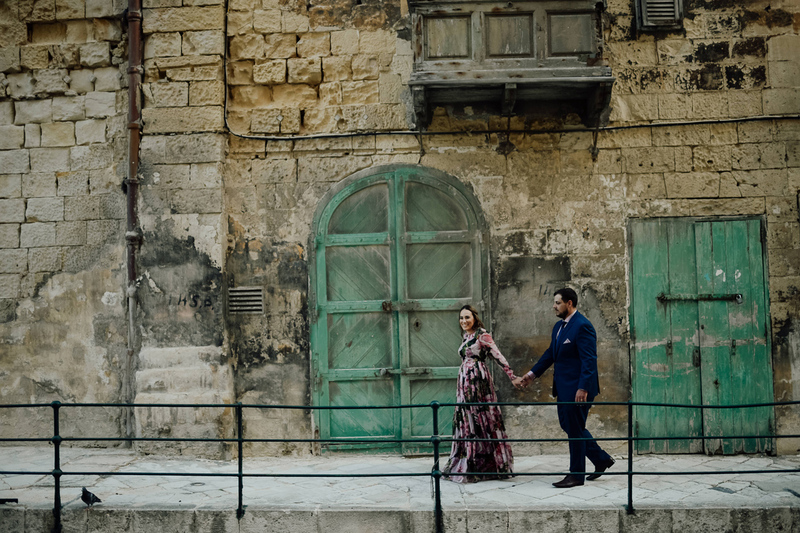 One of the most remarkable arrivals in a country for me. 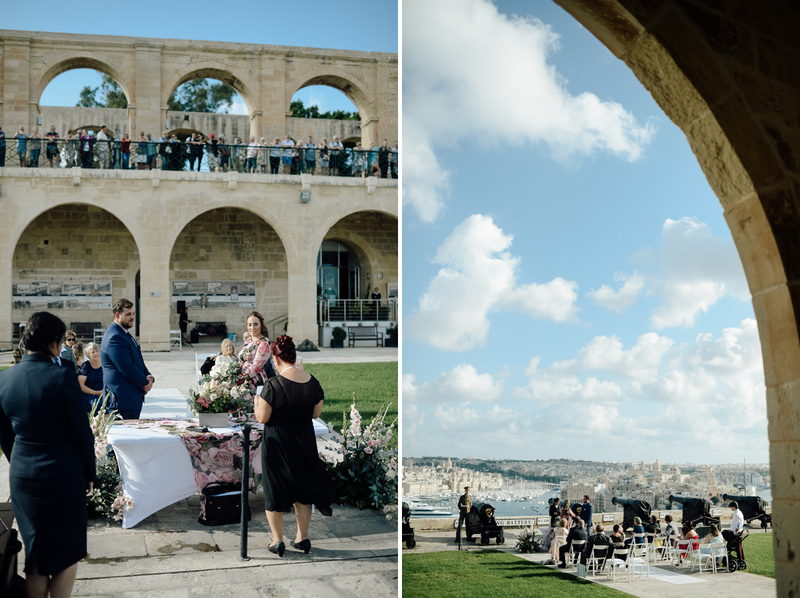 Upper Barrakka Gardens is a public park with an amazing view over the harbour. 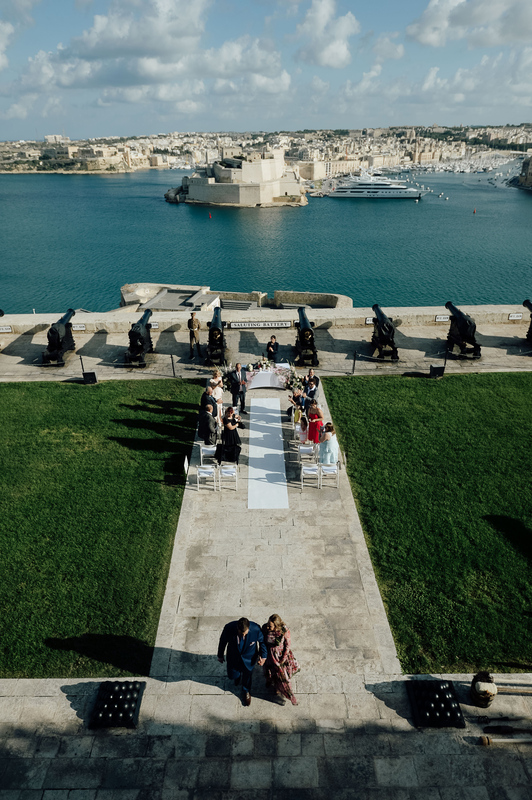 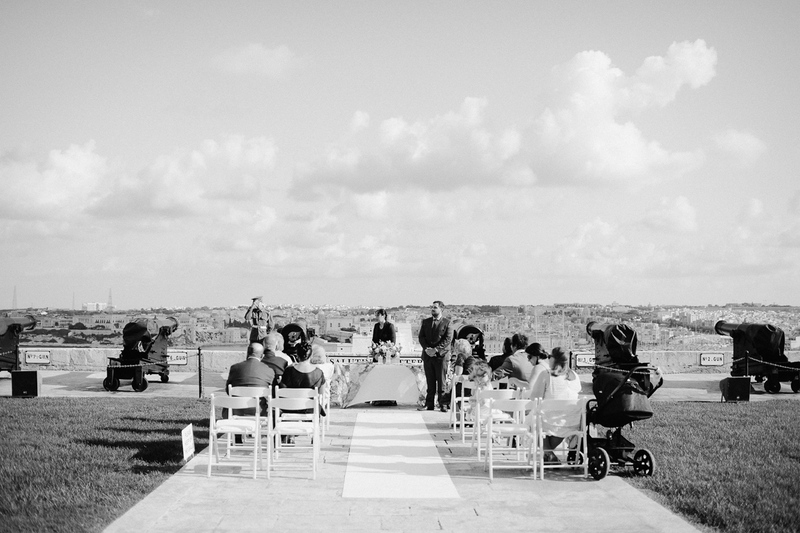 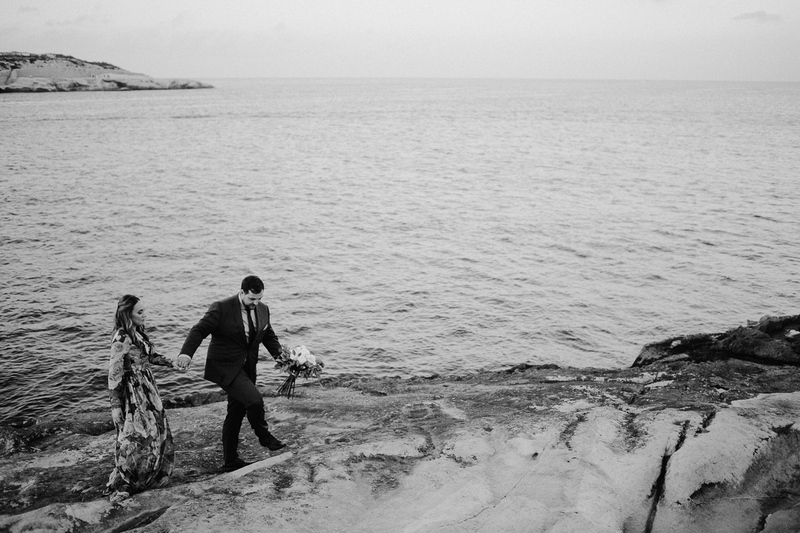 This is where Saluting Battery is, and this is where Alyssa and Rob had their intimate wedding ceremony in Malta. 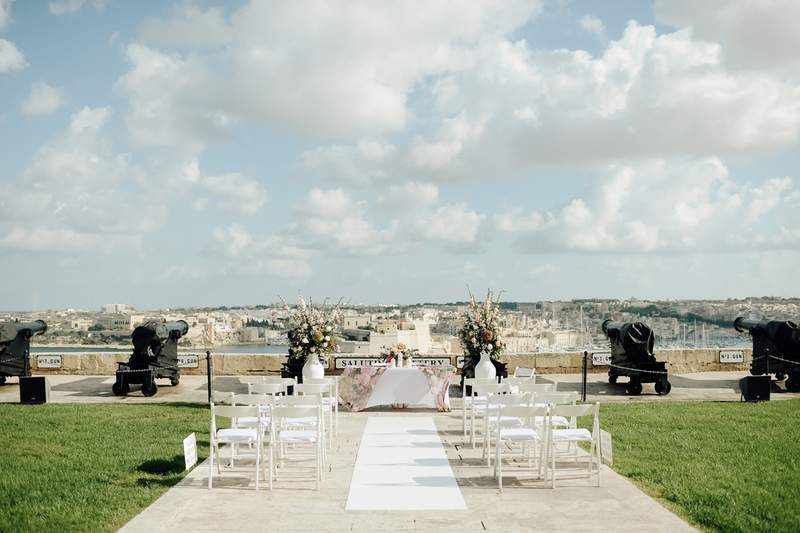 With a gorgeous view over the harbour, it’s easy to imagine why someone would want to get married here. 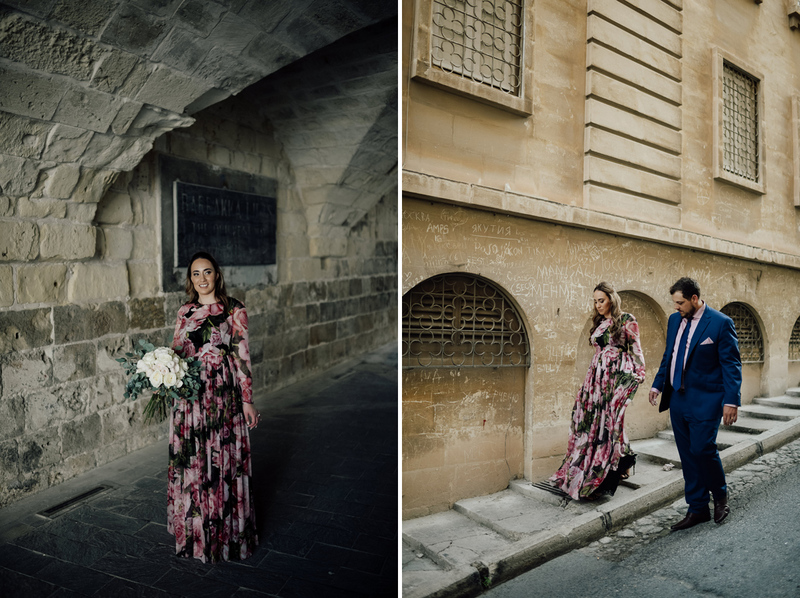 After the ceremony, the three of us went for a walk around Valletta, the capital of Malta, which was built in the 16th century and unlike other cities in Malta, its streets are designed in a grid plan. 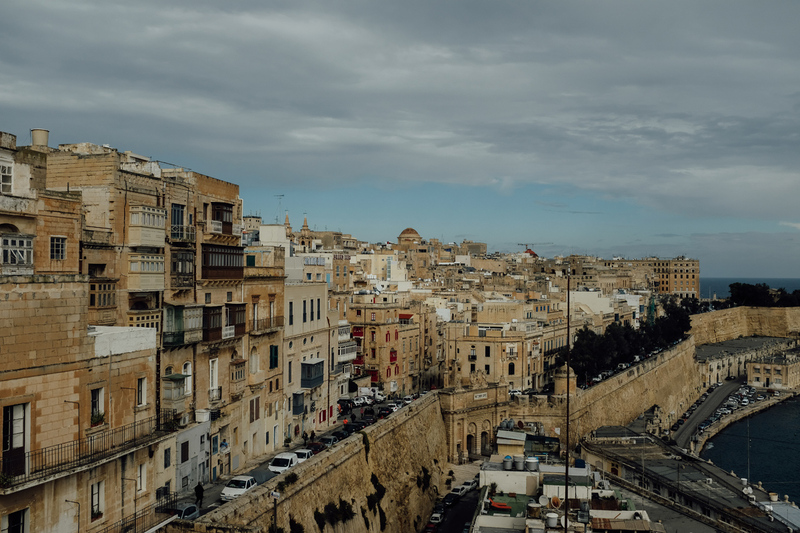 You can actually stand on one end of Valletta and see the other end – it is so precisely built. 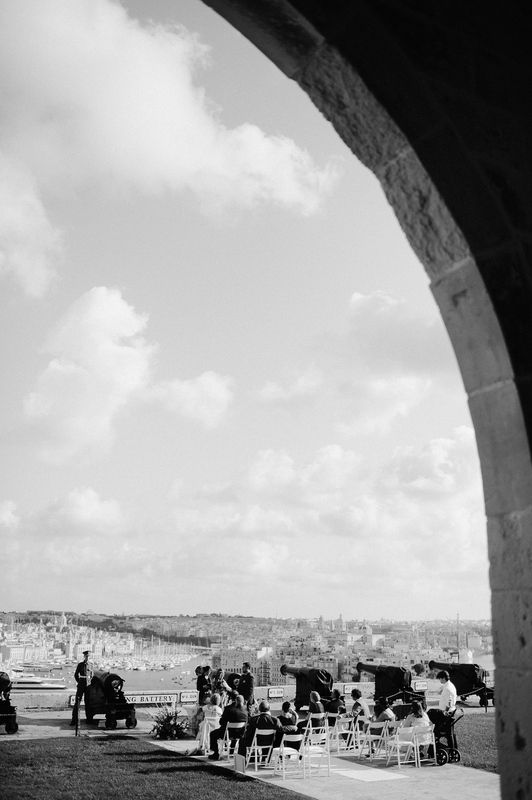 It is one of my favourite cities to walk around. 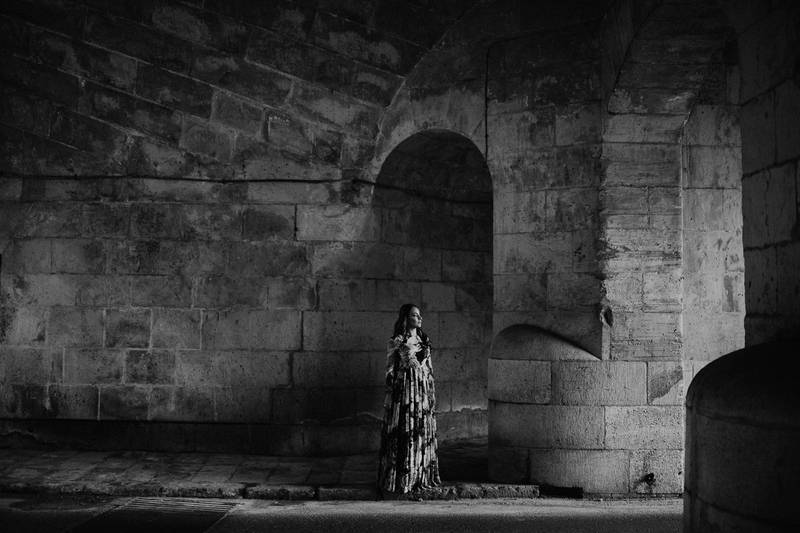 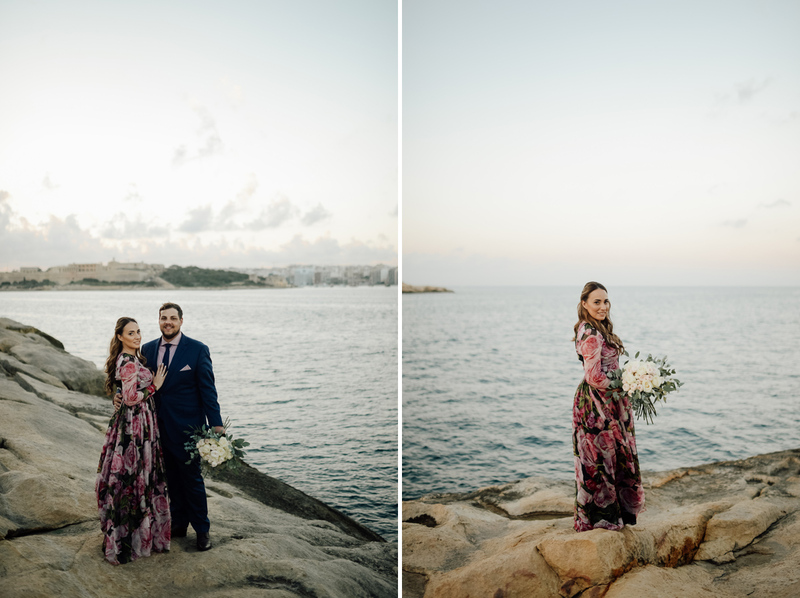 After portraits within the walls of the city, we went to the tip of the peninsula for one final stop. 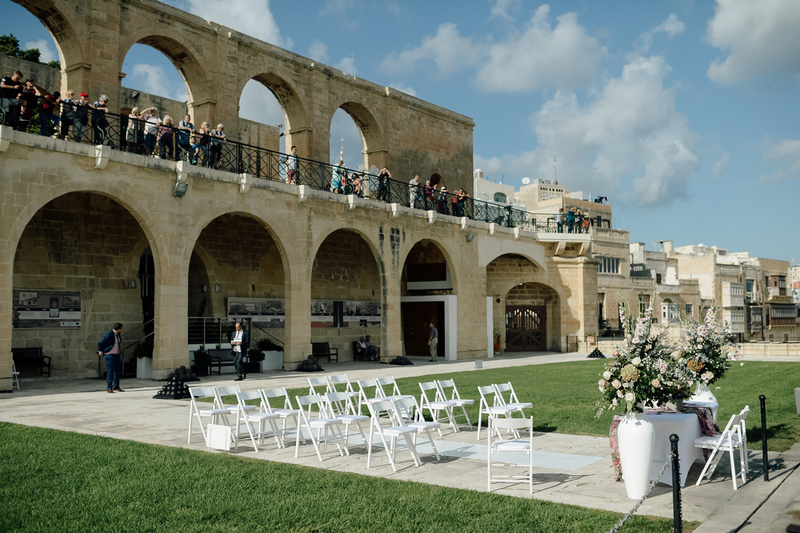 Valletta is such a pretty place for weddings. 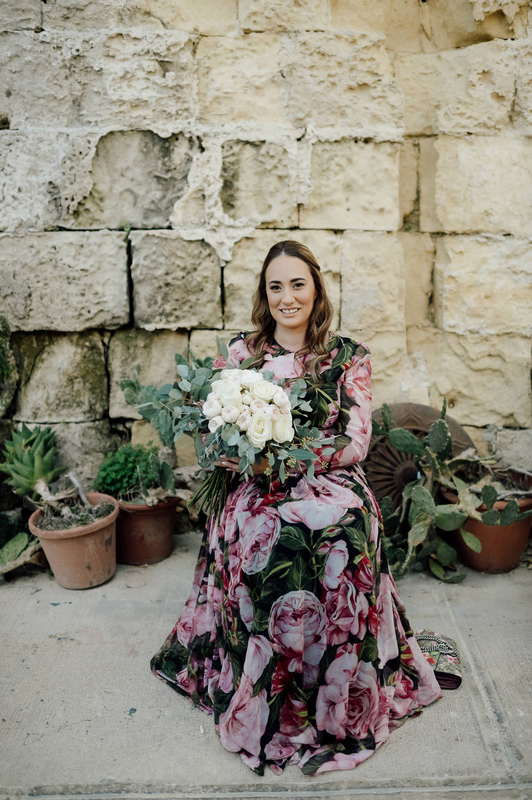 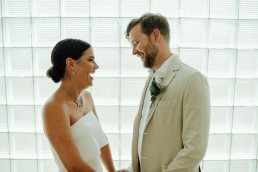 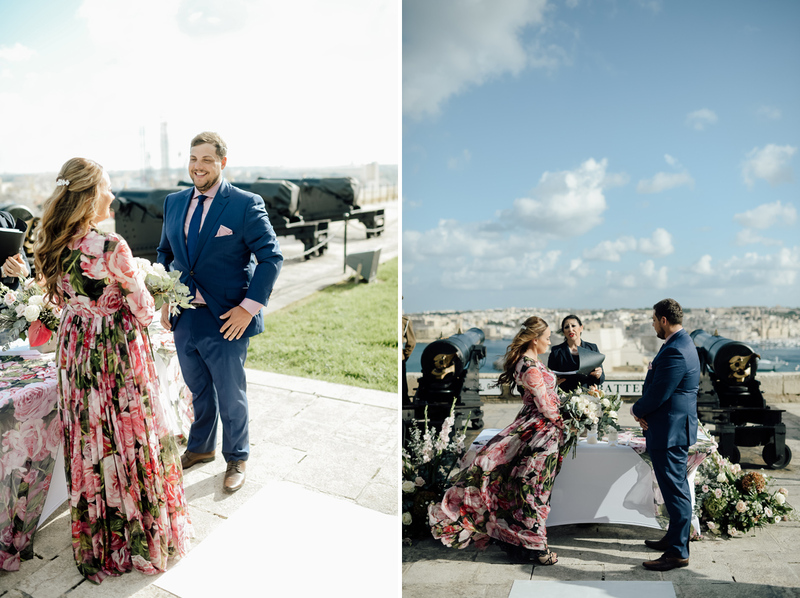 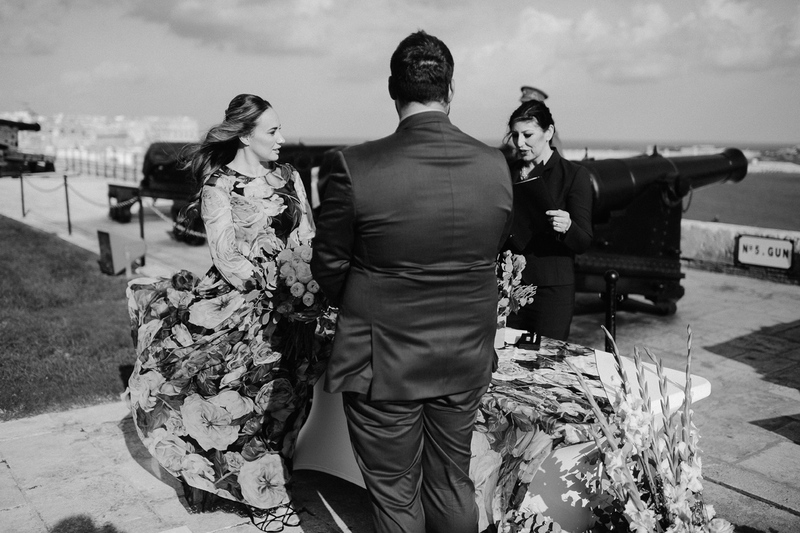 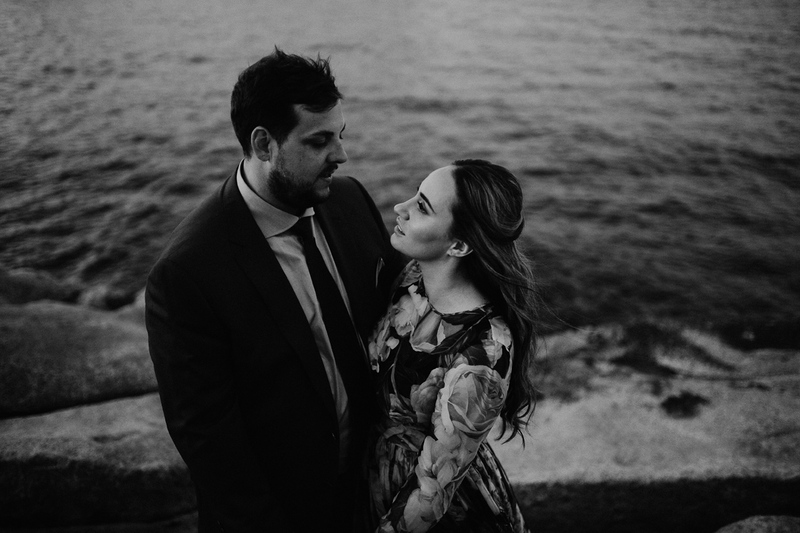 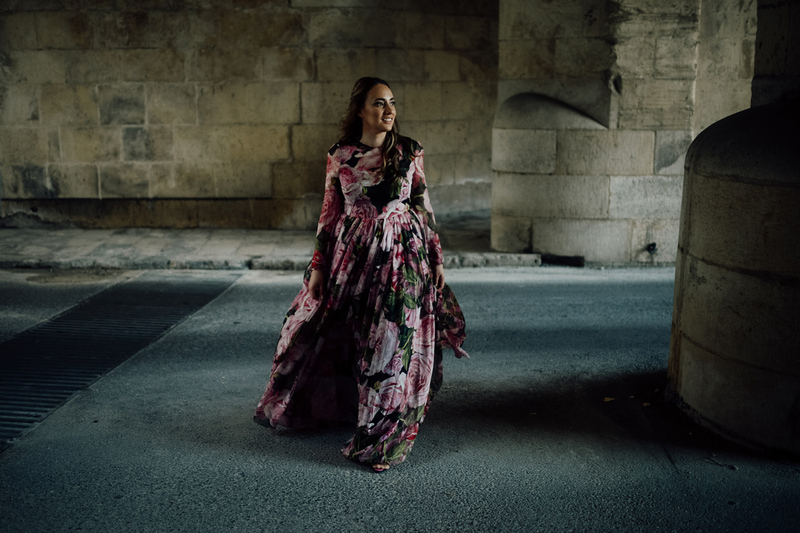 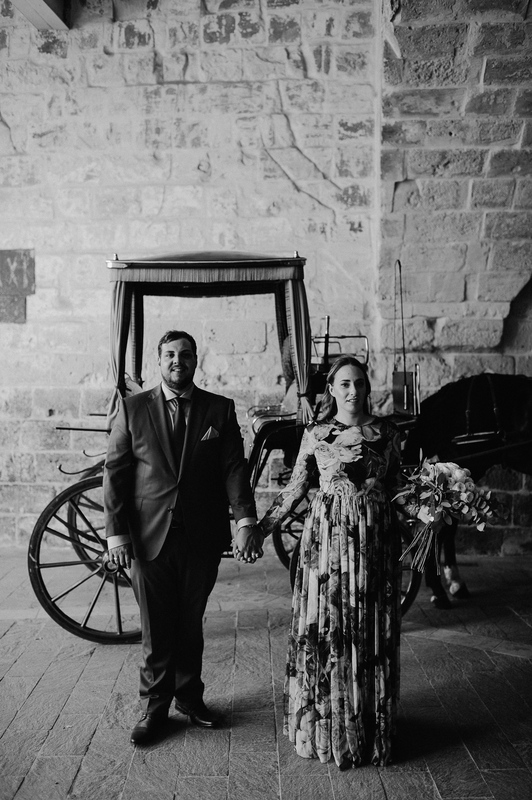 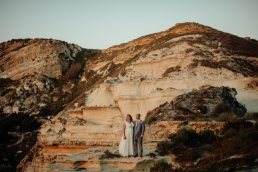 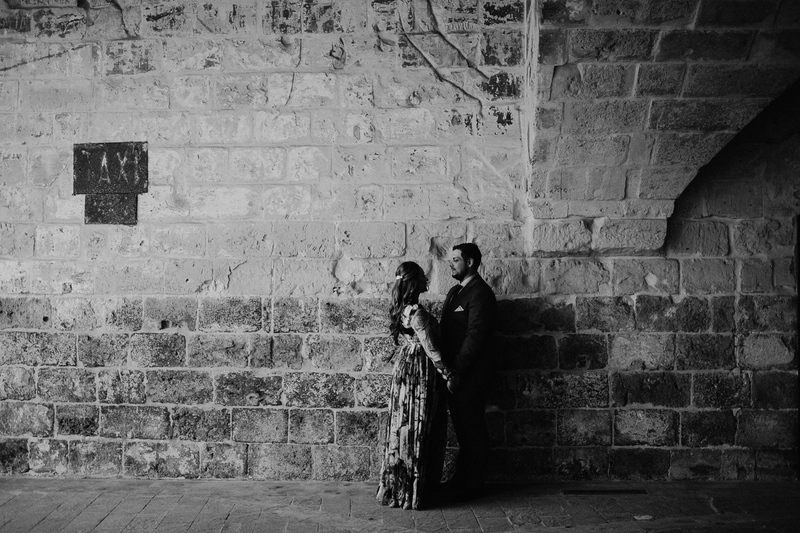 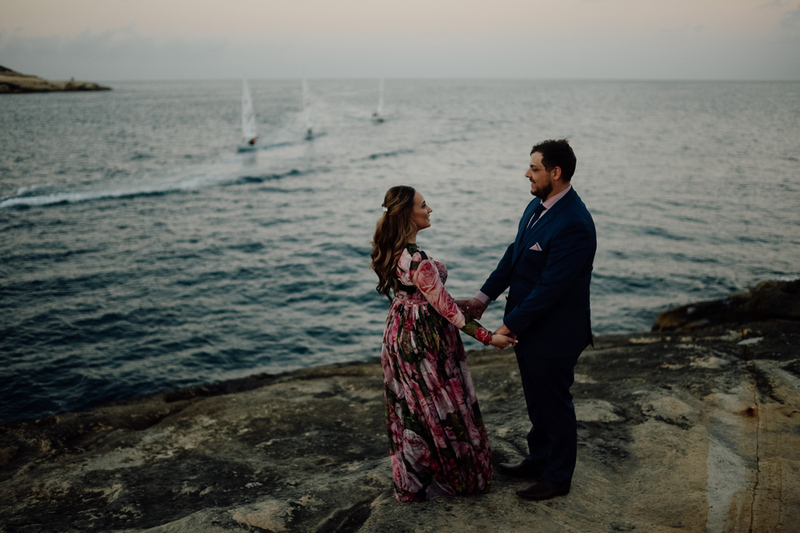 Have a look at some of the images below or go to one of the other links at the bottom of the page to check out some other wedding photo shoots from Malta.